Jury Orders Stroud Mall to Pay $50K in Assault Lawsuit | Michael A. Ventrella, Esq. Convinced that mall security in 2004 was warned about but did not prevent an assault, a jury has ruled that Stroud Mall should pay $50,000 to a Northampton Community College student. Robert Fischetti filed a lawsuit in 2006 that went to a three-day trial last week before Monroe County Court Judge Jon Mark. Fischetti was living in Effort in December 2004 when accosted in the mall by then-juveniles Owen McFarlane and Nicholas Heckman, according to court papers. 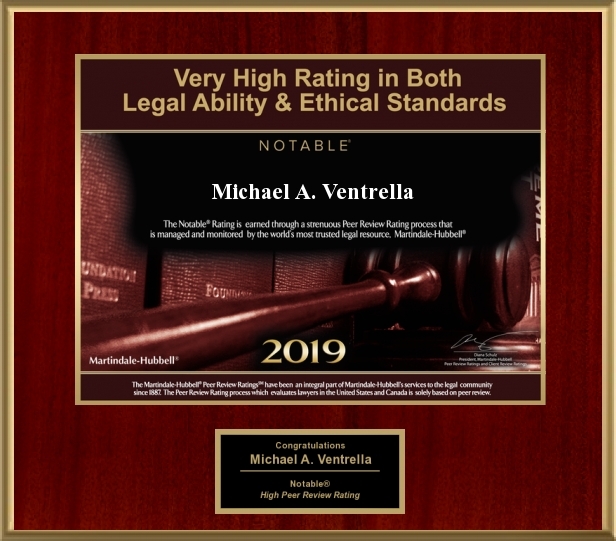 Fischetti’s attorney, Michael Ventrella, said McFarlane and Heckman thought Fischetti had said something to a girl, though Fischetti has consistently denied this. A man who at the time owned a knife store kiosk in the mall testified to seeing the confrontation, calling to a mall security officer nearby and telling her it looked like there was going to be a fight, Ventrella said. The security officer at the time testified she “looked for five seconds and then walked away because it didn’t seem serious to her,” Ventrella said. She did note the complaint in her log, proving she had been notified. The confrontation lasted several minutes, after which McFarlane and Heckman followed Fischetti out through the food court exit. Heckman and McFarlane then grabbed Fischetti, with Heckman holding a knife to Fischetti’s throat and threatening him. Fischetti struggled to get away, at which point they began punching and kicking him in the head, face and body. Fischetti suffered injuries, including a broken mandible that required jaw surgery involving the insertion of two plates, according to court papers. The injuries caused him to miss school, fall behind and graduate later than intended, as well as miss work at his part-time job, and resulted in hospital and medication expenses. It remains to be seen if attorney Alicia Smith on the mall’s behalf will appeal the jury’s decision. “My summation of the matter and strategy remain confidential as per my ethical duty to my client,” she said. McFarlane and Heckman were caught and punished in the juvenile court system, while Fischetti went on to serve four years in the U.S. Marines, was honorably discharged and is now working to pay his way through school, Ventrella said.